Although the current generation of cars are the fastest in F1 history in a straight line, the unique characterstics of Monza are the result of a bespoke aerodynamic package brought by most teams for the Italian GP. Most teams will spend a solid two weeks designing these packages in order to generate a good car balance for the various chicanes which litter the circuit whilst cutting drag and improving top speed. In case you were wondering, we saw top speeds of 225mph with DRS in use on the main straight, the fastest speeds ever recorder in Monza. Of course Juan Pablo Montoya’s highest average speed of 162.9mph during pre-qualifying in 2004 remains unbeatable for now, but it just proves that despite all the fuss made about this year’s cars not being fast enough was, well, just a fuss. Overall top speed was, however, limited by the energy usage capabilities inside this year’s hybrids. You will be aware of the fact that sometimes we see cars at the end of the straight with the rain-light blinking. This is to indicate that the MGU-H has gone into harvest mode and the turbo’s rpm is reduced significantly as a result and slowing the car down. When riding on board with cars reaching the end of the main straight, the engine rpm dropped significantly and this was a particular feature on Valtteri Bottas’s Williams. Let’s start with the home crowd favourite, and what a disappointing weekend it was for the Tifosi faithful. Fernando Alonso retired midway through due to an ERS shut down, which is possibly linked to a water pump failure. This caused the whole power unit to pack up to prevent further damage. Retained for Italy was the low downforce front wing from Belgium and three iterations of a low drag rear wing which the drivers tried out on Friday. A new rear diffuser was also present, featuring a lower angle of attack (AoA) in the central section to reduce the upwash effect at the rear of the car. 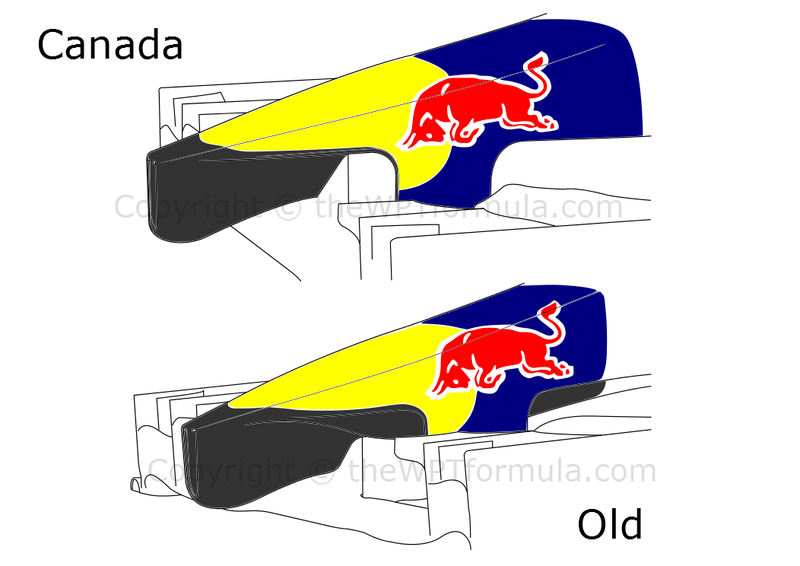 Reducing the upwash will prevent the upper and lower aero structures from combining, reducing drag as a result rather than pulling the car downward. Details were also revealed over the weekend that Kimi Raikkonen’s car is allegedly as much as 15kg heavier than teammate Alonso, purely to help him with his car balance problems. 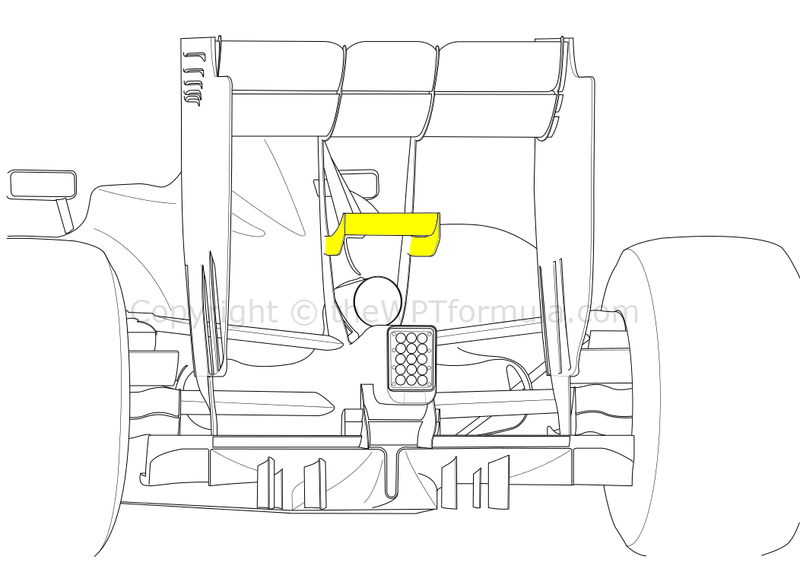 The extra weight will be incorporated into the ballast rather than adding weight to components, but it’s a clear sign of the Finn’s struggles in the F14 T.
Whilst most teams elected to remove their Y100 ‘monkey seat’ winglet above the exhaust exit, Force India chose to stick with their recently introduced version from Belgium. The winglet is very similar to that used by Lotus during their drag reduction device testing days, with an arched profile attaching to the rear crash structure either side of the exhaust. This will have aided corner balance by utilising the exhaust plume with the surrounding airflow, whilst not costing too much drag as the winglet is very slim. This was coupled to a low drag rear wing which featured an interesting delta shape, the centre of the wing being outstretched towards the front of the car with the outboard regions swept backwards. The benefit behind this design is to trim drag at the outboard edges of the wing by reducing the buildup of wingtip vortices whilst retaining some downforce from the centre of the wing. Again Mercedes brought developments as the team aim to further increase their advantage at the head of the field. Ahead of the rear tyre was a new L-shaped slot, very similar to the iterations seen on the Red Bull and, more recently, McLaren. The L shape is designed to collect more air from the top surface of the floor, draw it around the leading edge of the rear tyre and into the gap between the side of the diffuser and the tyre’s sidewall. Doing so will reduce the negative effect of tyre squirt – air projected into the diffuser from the rear tyre as the sidewall deflects. This in turn will create a more efficient diffuser which expands more readily. Surprisingly, Mercedes brought another rear wing to Italy instead of refining their Spa wing from two weeks ago. The new wing returns to the straighter trailing edge on the top flap but the main plane’s chord length has been significantly reduced. As a result the two wing supports now sweep back to attach to the leading edge of the wing. These supports are no longer the mounting point for a monkey seat winglet – even the low drag one introduced in Belgium – as the team opted to drop it altogether for the race weekend. Due to the shallower profile and lower AoA, the number of wingtip reducing louvres in the endplate have been reduced and downscaled to suit, although the cut outs in the lower portion of the endplate and the leading edge slot remain. 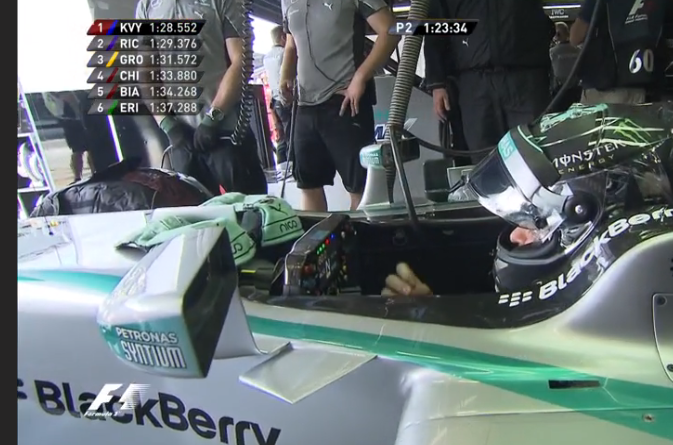 Finally, the W05 was also treated to some new wing mirrors. It is unclear if they will remain for the rest of the season or if they are a Monza specific update, though, as the new design will work quite differently to the outgoing version. The mirrors are now mounted via a dog-leg support attaching to the cockpit’s side (previously the mirror stalks joined to the top of the chassis) and include a new air conditioning canard behind and tucked slightly beneath the new mount. 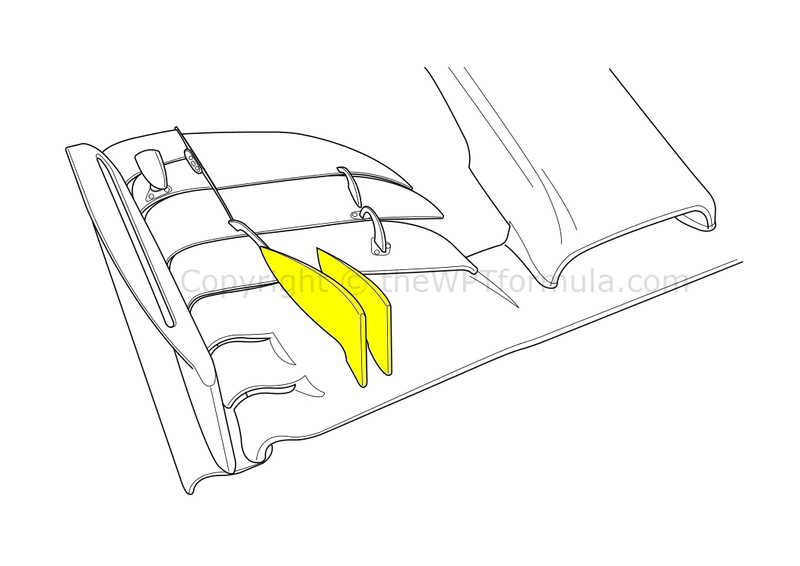 The two will interact with eachother to set up a long set of vortices of the sidepod, possibly preventing airflow becoming stagnant towards the rear of the car. Stagnant airflow is a root cause for drag so dispersing these areas will improve top speed substantially. However the new mirrors could disrupt aero structures created to produce downforce which take into the stagnant flow regions, so it’s difficult to predict if we will see these again this year. Not many changes were made to the RB10 over their Spa package although they did return to their low-drag front wing last seen in Bahrain during their troubled beginning of the season. 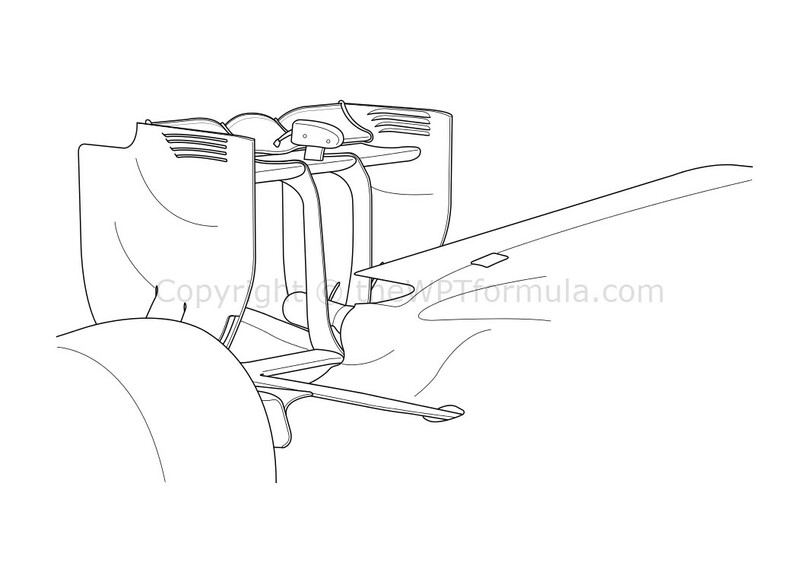 Without the cascade winglets and guide vanes, the front wing has far less surface area for air to interact with. The car certainly looked skittish to drive so it shows just how much downforce they have taken off the car for this weekend due to their power deficit. The front wing was coupled with the low drag nose seen in Canada, the removed bulge cutting drag from the front and rear ends of the car as a result. Cut down front wing flaps were a popular way to reduce drag at the front of the car, and Toro Rosso saw no differently by adapting their wing introduced in Austria to suit the high speeds of Monza. However where the team were set apart from the rest was their decision to remove the serrated lower portion of the rear wing endplates. The slats at the bottom of the endplates encourage the air to splay outwards – outwash. 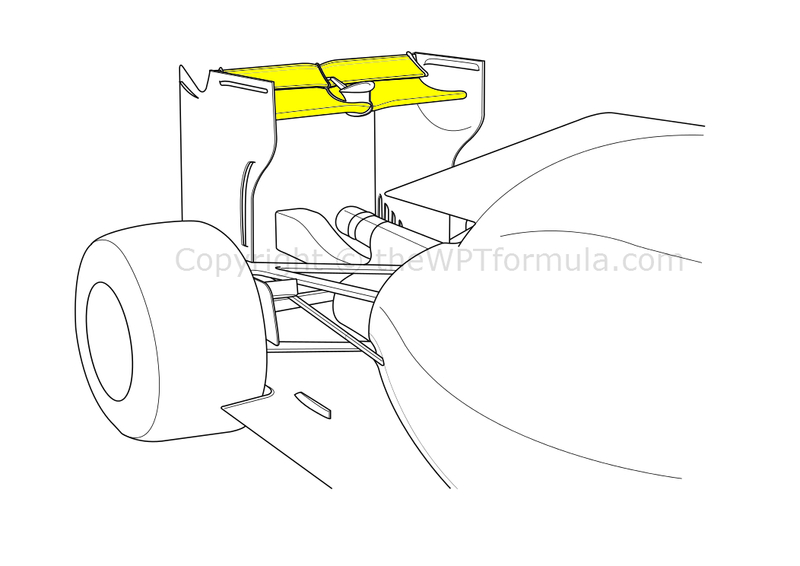 This effect has become another way of extracting rear downforce as well as the more commonly know, upwash. Removing these slats not only reduces the former effect but it also presents less surface area and thus cuts drag. We already knew the FW36 was quick, but when they bolted on their low drag rear wing they were monstrously fast. Bottas’s qualifying performance was superb and, despite a poor start, he effortlessly carved his way through the traffic during the race. Featuring an extremely low AoA, the main plane:top flap chord ratio was closed up for Italy to cut drag as much as possible. Having a larger top flap relative to the main plane can boost the DRS effect, which was evident during the race on Sunday. 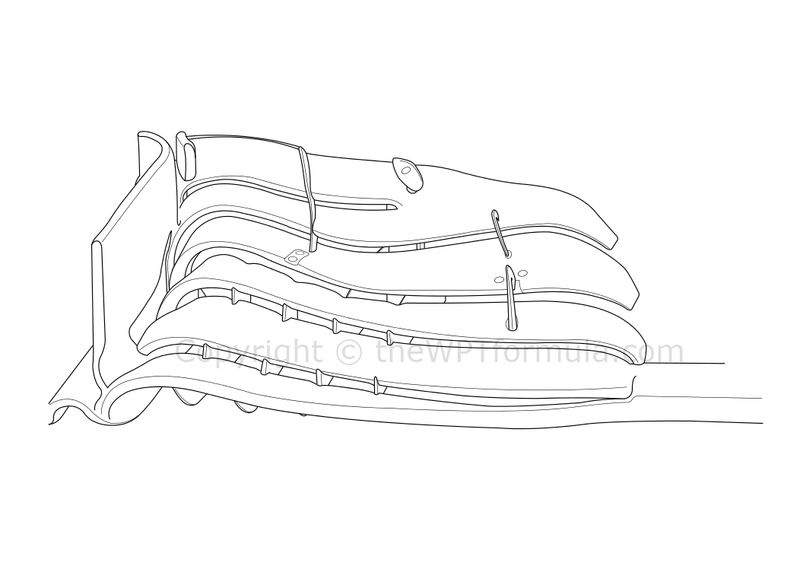 The wing’s endplates featured one single horizontal louvre plus a large vertical slot in the leading edge to dispatch rear tyre wake efficiently. The monkey seat above the exhaust was also removed, leaving a blockage-free area at the centre of the car thanks to Williams’s floor mounted endplates which alleviate the need to incorporate pylon supports. 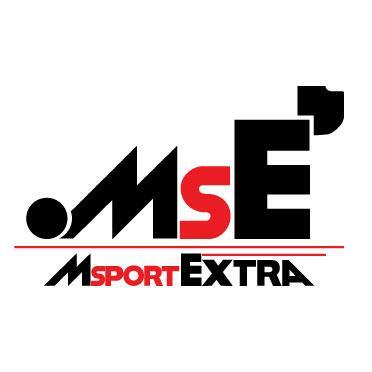 This entry was posted in 2014 Highlights, Technical Highlights and tagged developments, drag, f1, ferrari, floor, gp, highlights, itlian, low, mercedes, slot, tech, williams, wing on September 9, 2014 by thewptformula.